Telly Kade lives in the 23rd century and spends much of her time in a virtual reality world populated by all kinds of magical and even scary creatures. Although she's never met her two best friends in real life, she feels like she knows them very well. 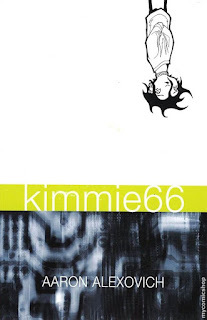 But when she gets a suicide note from her best (virtual reality) friend, Kimmie66, she starts to wonder if she ever knew Kimmie at all. Then she hears that Kimmie has been spotted in various virtual reality worlds all over the 'net, and Telly starts to wonder if Kimmie is really dead after all. 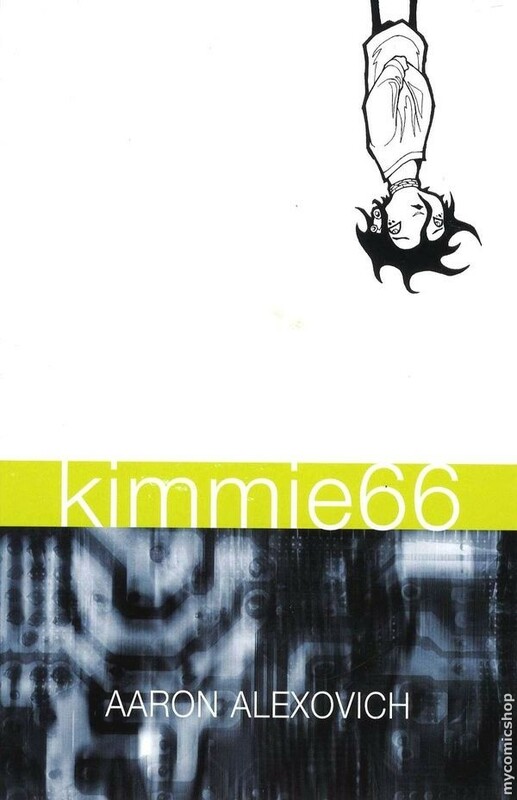 And who is the real Kimmie, anyway? Why would she want to end her life? Others are interested in Kimmie's phantom appearances as well, and the search for answers takes Telly to some very dark places. I had coincidentally been reading Heir Apparent to my girls when I stumbled across this graphic novel, and I was struck by the similarity of the themes of these two books. This book is admittedly edgier and a bit darker, particularly as it deals with the disturbing subject of suicide, but also with the advantages and disadvantages of spending time in a virtual world. I loved the character of Telly, who is intelligent, loyal and tenacious. This is the kind of graphic novel that can be read on several different levels, so that thoughtful readers who slow down to appreciate the artwork and the subtleties of the story will truly find it a rewarding read - and readers who turn the pages breathlessly just to see what happens next will enjoy it as well. Both my daughters (11 and 13 years old) read and loved this one, and I have Confessions of a Blabbermouth, a graphic novel illustrated by Alexovich, in our library book basket waiting for me right now. My daughters have both read it already (I always get stuff last these days! ), and they enjoyed it, too. 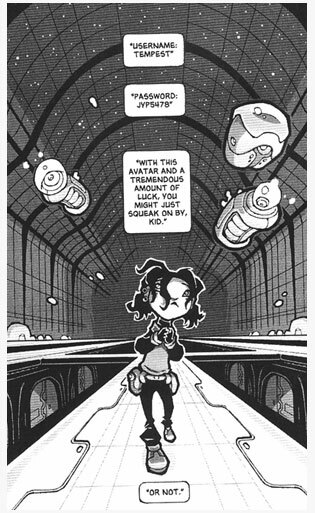 If you like Aaron's work, you might want to follow his Webcomic Serenity Rose (http://www.heartshapedskull.com/). Thanks for stopping by, Curmudgn! I actually just found Serenity Rose in my library system, and I placed a hold but it hasn't arrived yet. Is the webcomic more than the book? Maybe the book is just the first volume. I guess I'll see when it arrives. Thanks for the tip! The webcomic is where it appears first. Volumes 1 and 2 are out in dead-tree. Volume 3 is the current work-in-progress.